Open up your Instagram app! 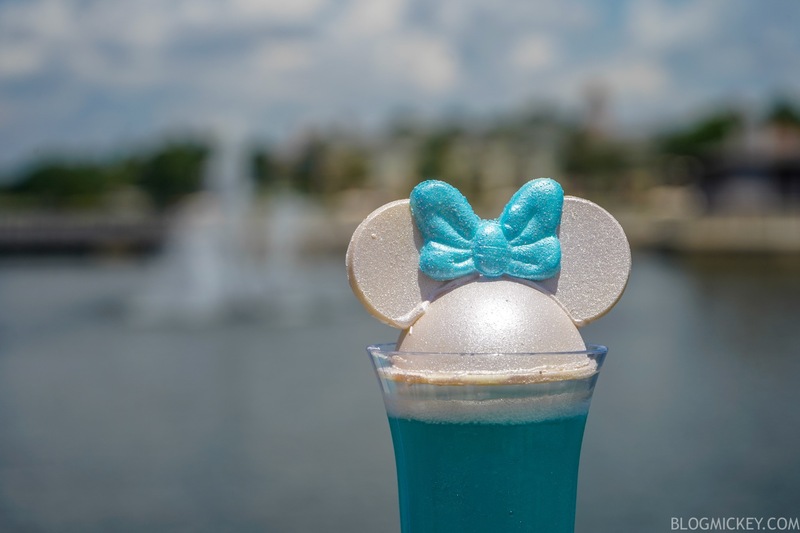 Amorette’s Patisserie debuted two new photogenic items today that take advantage of the latest color trends and they’re ready for hashtagging. First up is the Iridescent Blue Sparking Wine. 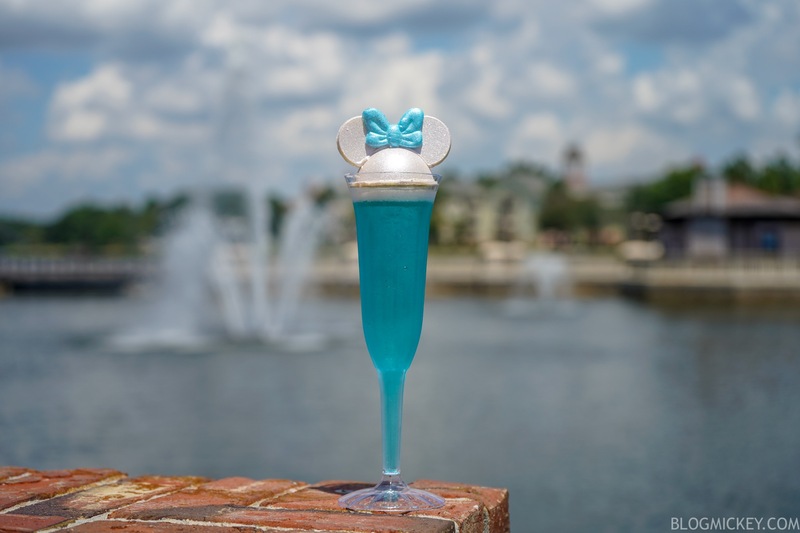 A standard Fairy Tale Celebration Cuvee finds a blue coloration and is topped with a white chocolate Minnie Mouse ear hat. At $17, it’s firmly in the “buy it for Instagram, not for value” camp, but it does arrive a whole dollar cheaper than the Millennial Pink Celebration Toast from April. 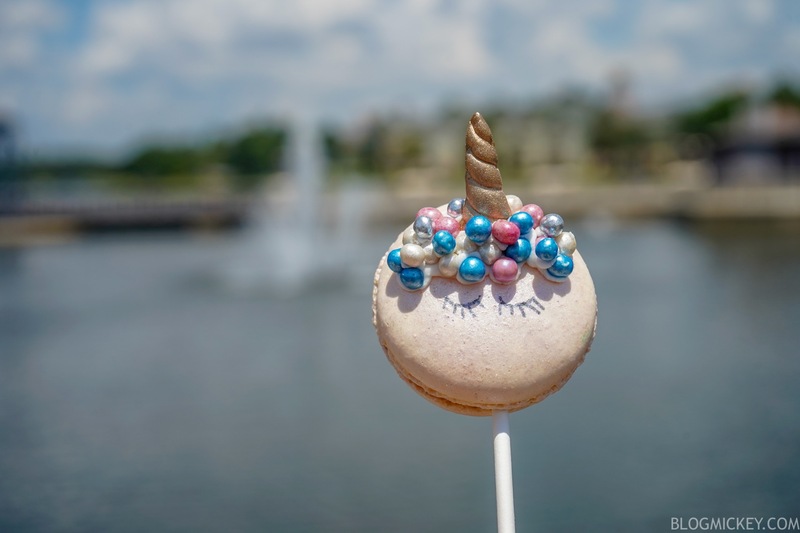 Next up is the Unicorn Macaron. The wonderfully decorated macaron is prepared perfectly, with a crunchy exterior and forgiving interior. Inside, you’ll find a layer of dulce, which is essentially a roasted white chocolate. Not only does it take a good photo, but it is also packed with flavor. 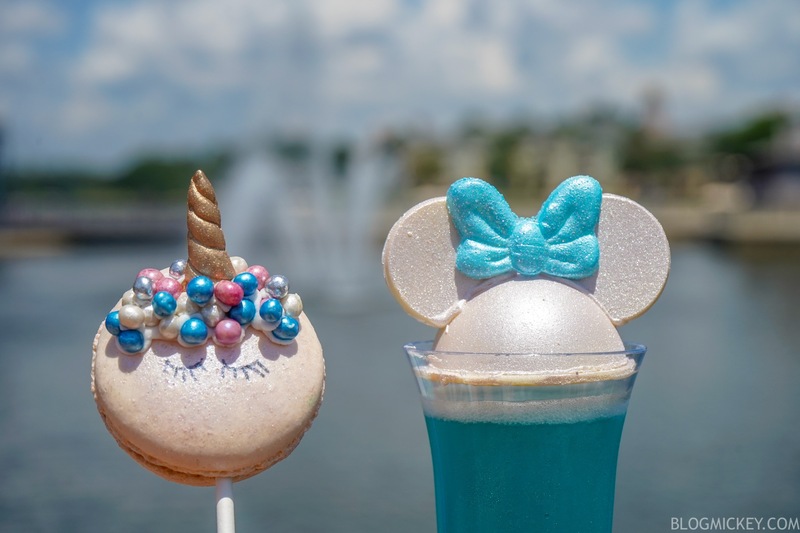 Of the two offerings, we’d recommend the Unicorn Macaron.